The rums spend some additional time marrying in a tank but it is unknown exactly how long this process takes. 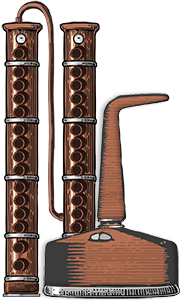 Like the white rum, this one also uses pot and column distilled rums. The bottle for the Gold Rum is exactly the same as the bottle for the White Rum, only the contents and the pamphlet are different. The rum in the bottle looks intense; the colour is dark brown with red highlights and when the light hits it you can see burnt orange, orange and gold which gives it a very vivid appearance. 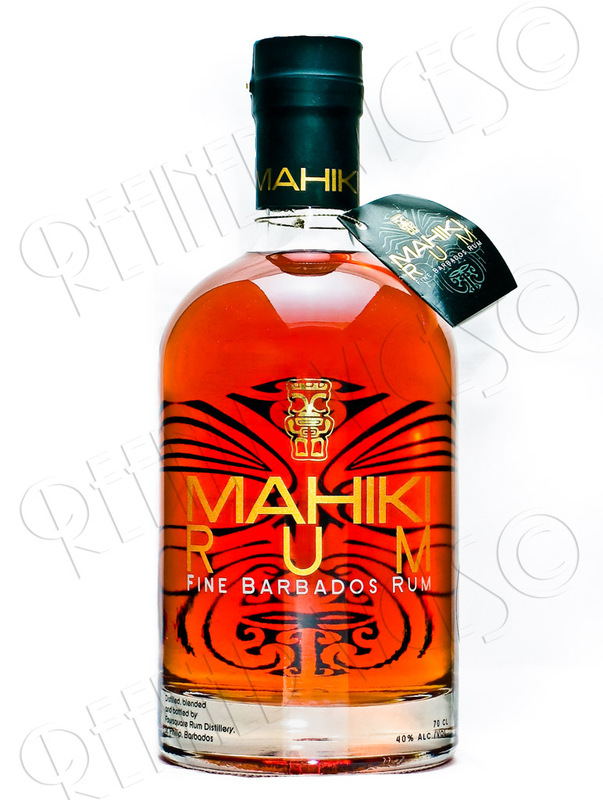 In my glass Mahiki Gold Rum has semi thick legs and is coloured amber with lighter amber hue. Burnt sugar, vanilla, leather, baked banana, dark fruits. 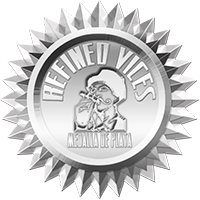 This rum has wonderful, very complex range of aromas and the extra years in the barrel have given it a wonderfully smooth nose. Mahiki Gold Rum has a floral burn on the tongue that I did not expect after nosing the rum. Vanilla, toffee and caramelized sugar are also present. The toffee actually reminds me a little of Cruzan Single Barrel. A little water evens out the floral notes but adds a toasted flavour. The finish has coffee, it is sweet, floral and smoky. Like the pamphlet around the neck of Mahiki White rum, the one around Gold Rum also has a cocktail recipe. For the Piña Colada I had to buy the pineapple and luckily I already had the required flip-flops. Slip on your flip-flops and grab a pineapple! The Piña Colada was good and the flavours of this tropical drink were only enhanced by the great weather outside. When making this cocktail, you might want to use a knife to cut the flesh of the cored pineapple as small as you can because some blenders, like mine, do not make the flesh small enough so it will end up getting stuck on your straw when trying to drink the Piña Colada from the pineapple. Also make sure you leave the woodlike whitish core out because it is quite nasty if it gets into your cocktail. Leave it in if you like to chew your cocktail instead of drinking it. Of course I went out and bought another pineapple to conduct more experiments with Mahiki Gold Rum. The first Piña Colada was only slightly too boozy for my taste and the pineapple chunks occasionally interrupted the drawing of the liquid. 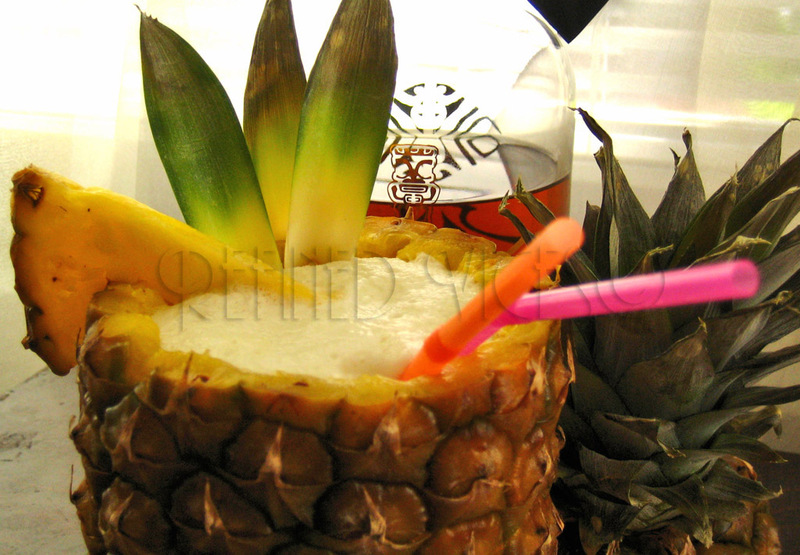 For this Piña Colada I made a fine puree out of the pineapple flesh before I put it in the blender. I also used slightly less rum and slightly more coconut cream to create the perfect balance between the ingredients. This version was mighty fine! 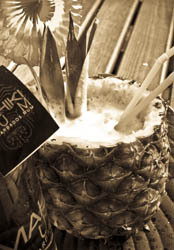 Regardless of the success with the Piña Colada and despite the recommendation in the pamphlet for using Mahiki Gold rum with a mixer or as part of a more elaborate cocktail, I think I prefer to sip it neat. On another note I've already used a fair bit of this rum and I don't want to run out so I have to refrain myself from making delicious cocktails. With Mahiki Gold Rum you can make glamorous tropical cocktails but its also good enough to be sipped as is or with a bit of water, which makes Mahiki Gold a very versatile rum. 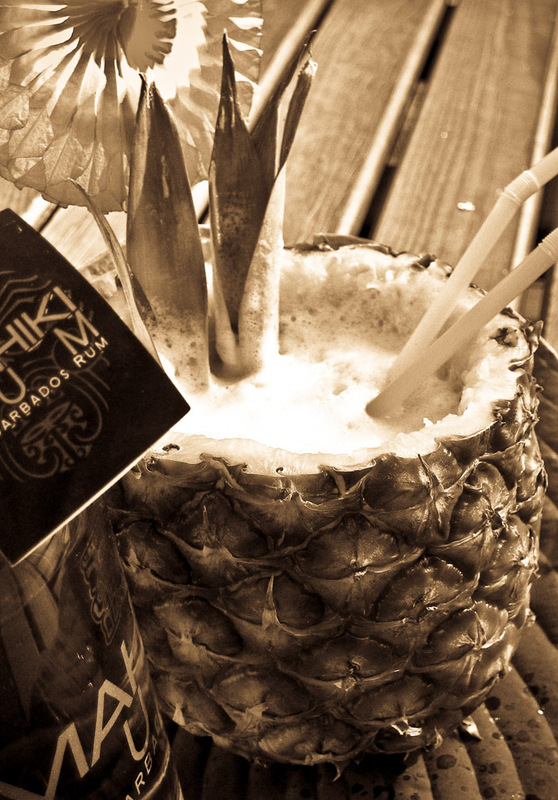 Have you tried Mahiki Gold Rum? Share your thoughts in the forums!